In 1943, Dorothy L. Sayers’ script of twelve radio broadcasts was published by Harper & Brothers as The Man Born to Be King: A Play-Cycle on the Life of our Lord and Saviour Jesus Christ. She had written these dramatic episodes for the radio at a time when there was no precedent for such writing. Many deemed these broadcasts sacrilegious and some even considered them wicked. Far better, it was thought, to quote the Bible than to interpret it, especially on stage. But Sayers was a masterful writer, and her plays, though seldom read any more, must have won over most of her listening audience. Indeed, they won over this writer. As she writes in her Introduction, “There were to be twelve plays, separated by intervals of four weeks” (Dorothy L. Sayers, The Man Born to Be King: A Play-Cycle on the Life of our Lord and Saviour Jesus Christ. New York: Harper & Brothers, 1943, 13). Her object was “to tell that story to the best of my ability, within the medium at my disposal—in short to make as good a work of art as I could” (Sayers, 4). She wrote one Nativity story, six stories from the period of Jesus’ ministry, and five Passion plays beginning with Palm Sunday. Some characters had to be invented, such as Elihu, who was the captain of the guard at the tomb of Jesus, but Baruch the Zealot was the only main character of importance that she invented. Judas could not be a worthless villain lest Sayers cast a slur upon either the intelligence or the character of Jesus for choosing him as a disciple. Sayers uses many direct quotations from the Gospels, then adds detail to the story for the flow of the narrative. Those details certainly could have happened, but they are invented for the sake of the story. For example, the Roman Centurion is Proclus (This name is not historical, nor is Claudia Procula), both serving with Herod the Great early in his life and appearing later as the Centurion at the cross. The wise men are kings, and Mary Magdalene is identified both with Mary of Bethany and the sinful woman of Luke 7. Neither identification is made by scholars today. Sayers’ portrayal of Judas, described by Sayers as having “intellectual idealism” and “rooted egoism,” makes sense of his betrayal (Sayers, 199). The wife of Pontius Pilate, named Claudia Procula, figures prominently in the plays. According to Christian tradition, she later became a Christian, and Sayers has the resurrection reported to her. Finally, in addition to being the story of the life, death, and resurrection of Christ, her episodes comprise “first and foremost, a story—a true story, the turning-point of history, ‘the only thing that has ever really happened’” (Sayers, 22). Especially in the post-resurrection conversations between Jesus and His disciples the message and implications of the Gospel are thoroughly explained. 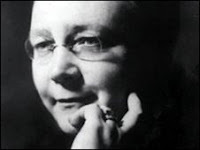 For Dorothy L. Sayers, “Christ Jesus came into the world to save sinners” (1 Tim. 1:15). C.S. Lewis (1898–1963) and Dorothy L. Sayers (1893–1957) were friends, both Christians, both writers, and both residents of Oxford, England. The two corresponded with each other in spite of the fact that they lived in the same city. 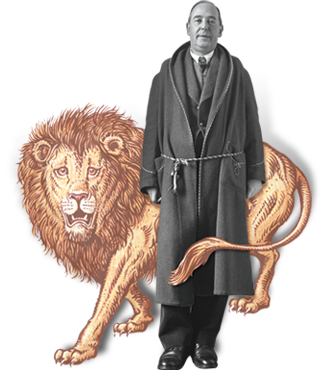 We have dozens of Lewis’ letters to Dorothy L. Sayers, four of them mentioning The Man Born to be King, and she must have written a similar number of letters to him. He once wrote about how they became friends, “Dorothy Sayers, so far as I know, was not even acquainted with any of us [the Inklings] except Charles Williams and me. We two had got to know her at different times and in different ways. In my case, the initiative came from her. She was the first person of importance whoever wrote me a fan letter. I liked her, originally, because she liked me; later, for the extraordinary zest and edge of her conversation—as I like a high wind. She was a friend, not an ally. Needless to say, she never met our own club, and probably never knew of its existence” (Collected Letters, III, 1400. This letter to the editor of Encounter was published on Jan. 1, 1963). He kept that promise, reading it “in every Holy Week since it first appeared” (“A Panegyric for Dorothy L. Sayers,” in On Stories and Other Essays on Literature, edited by Walter Hooper. San Diego: Harcourt Brace & Company, 1966, 1982, 93). 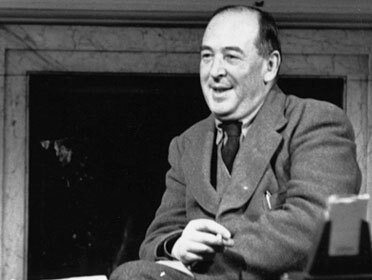 In the year it was published, on August 3, 1943, Lewis wrote to J.B. Phillips, reflecting the criticism of those who disliked any change from the Authorized Version, i.e. the King James Version, “I hope very much you will carry out your plan of doing all the epistles. Of course you’ll be opposed tooth and nail by all the ‘cultured’ asses who say you’re only spoiling ‘the beauty’ of the A.V (Authorized Version, i.e. the King James Version of the Bible) —all the people who objected to Green Pastures and The Man Born to be King and who are always waffling about reverence. But we must kill that” (Collected Letters, II, 586)! Clearly he lent a copy or recommended a copy of Sayers’ book, perhaps several times, or he would not have written a couple of years later that the Porter at the “Bull” liked it (Collected Letters, II, 683. The letter is dated Dec. 14, 1945). Two years after that, on Nov. 7, 1947, he mentioned in a letter to Sayers that he was rereading The Man Born to be King and that it wore excellently. Lewis didn’t have a lot to say about the content of the radio plays. His praise came primarily over the fact that she wrote them, wrote them well, and thereby brought the story of the life of Christ to light in a new way. But he also described the plays as having “architectonic qualities,” and he wrote that art and evangelism came together in her plays and that art and evangelism “turned out to demand one another” (“A Panegyric,” 93). That is, her proclamation of the Gospel in these plays not only presented the Christ of Scripture as the Savior of the world, but also did so powerfully and persuasively. No wonder he wrote to Miss Dell on Oct. 25, 1949 that he thought that “…D. Sayers’ Man Born to be King has edified us in this country more than anything for a long time” (Collected Letters, II, 989). The liveliness of her portrayal, even the humor, which he mentioned in a letter to Mr. Lucas, impressed him (Collected Letters, III, 815. The letter is dated Dec. 6, 1956). A few years later he would write to Mr. Aylard on Christmas Eve that drama, especially as used by Dorothy L. Sayers in her series of plays, “did a great deal of good” (Collected Letters, III, 1114. The letter is dated Dec. 24, 1959). The Man Born To Be King became one of the books he would recommend, along with the works of Chesterton, Charles Williams, George MacDonald, St. Augustine, George Herbert, and others, which is high praise indeed! On May 9, 1961, he wrote to Mrs. Gray with his recommendations for her reading, which included Sayers’ radio dramas (Collected Letters, III, 1265). We also receive from Sayers some of the thinking of C.S. Lewis. For example, in the description of characters for the eighth play, Sayers quotes from the last of The Screwtape Letters in regard to the death of Lazarus: “The gods are strange to mortal eyes, and yet they are not strange. He had no faintest conception till that very hour [of death] of how they would look …. but when he saw them he knew that he had always known them …. That central music in every pure experience which had always just evaded memory was now at last recovered” (C.S. Lewis, The Screwtape Letters, 173f. Cited in The Man Born To Be King, 200). This is what both Lazarus and the Patient in The Screwtape Letters saw at the moment of death. In her notes on the characters for the fourth play, she may be reflecting her familiarity with Lewis’ essay “The Weight of Glory,” when she writes of Judas, “He could have been the greatest in the Kingdom of Heaven, but he will be the worst” (Sayers, 101. 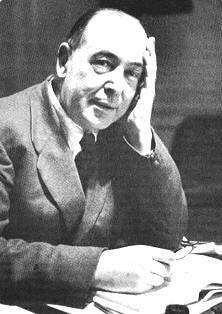 See Lewis’ essay, “The Weight of Glory,” where he writes, “It is a serious thing to live in a society of possible gods and goddesses, to remember that the dullest and most uninteresting person you talk to may one day be a creature which, if you saw it now, you would be strongly tempted to worship, or else a horror and a corruption such as you now meet, if at all, only in a nightmare”). But the reverse may also be true, since I detect the influence of Sayers on Lewis in The Last Battle when the dwarfs say, “The Dwarfs are for the Dwarfs” (C.S. Lewis, The Last Battle, New York: Macmillan Publishing Company, 1956, 73, 119, 121, 126, and 148). Sayers has the crowd say, “Jewry for the Jews” (Sayers, 44)! But we especially receive from Dorothy L. Sayers an impression of the devotion of Lewis to the person of Jesus Christ and the saving acts of His redemptive work. The contents of each play are summarized below in parentheses. The titles are the original titles given them by Sayers. This entry was posted in Joel Heck and tagged Christmas, Collected Letters, Dorothy Sayers, G.K. Chesterton, George MacDonald, Screwtape Letters, Weight of Glory.